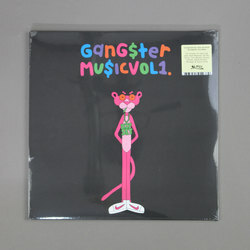 Gangster Doodles - Gangster Music Vol. 1. Vinyl LP. Bleep. This one’s a real treat. Artist and illustrator Marlon “Gangster Doodles” Sassy plays svengali on stacked compilation Gangster Music Vol. 1, a rich bounty of rap and hip hop treasures you won’t find anywhere else. The comp features a rock solid line up of new guard names like Quelle Chris and Mndsgn, alongside grizzled veterans like Madlib and Oh No. The album was produced and collated piecemeal, but the vibe is communal: like a hive-minded troupe knocking out classics through a haze of smoke over a single weekend.